The Exceptional and the Everyday: 144 hours in Kiev is the first project to analyze the use of Instagram during a social upheaval. Using computational and data visualization techniques, we explore 13,208 Instagram images shared by 6,165 people in the central area of Kiev during 2014 Ukrainian revolution (February 17 - February 22, 2014). Over a few days in February 2014, a revolution took place in Kiev, Ukraine. How was this exceptional event reflected on Instagram? What can visual social media tell us about the experiences of people during social upheavals? If we look at images of Kiev published by many global media outlets during the 2014 Ukrainian Revolution, the whole city is reduced to what was taking place on its main square. On Instagram, it looks different. The images of clashes between protesters and the police and political slogans appear next to the images of the typical Instagram subjects. Most people continue their lives. The exceptional co-exists with the everyday. We saw this in the collected images, and we wanted to communicate it in the project. 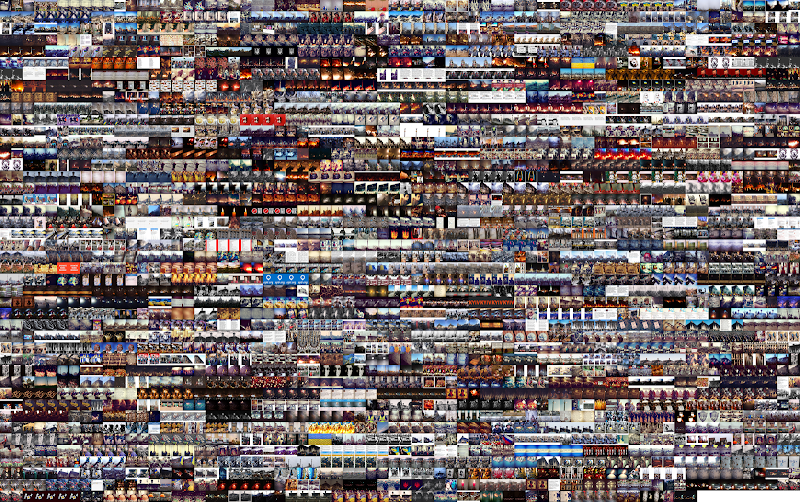 selfiecity.net (comparison between 3200 selfie photos shared in six cities, 2014; collaboration with Moritz Stefaner). In the new project we specifically focus on the content of images, as opposed to only their visual characteristics. We also explore non-visual data that accompanies the images: most frequent tags, the use of English, Ukrainian and Russian languages, dates and times when images their shared, and their geo-coordinates.